Model features removable upper floor and removable roof/attic section making the model very easy to get troops inside and back out again. Kit is made from laser cut MDF. 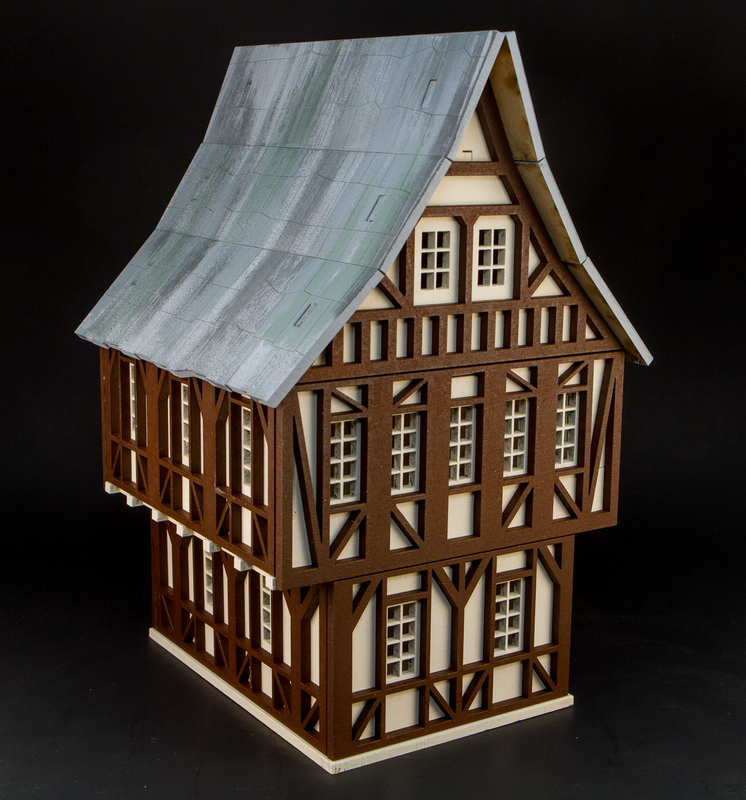 Having the half timber details as separate parts makes assembly and finishing very simple, just build the main MDF structure and paint it your choice of color (no need to even fill the seams, the half timber details will hide them) and then glue on the half timber pieces (painted or not). You can have a fantastic looking building in minutes. 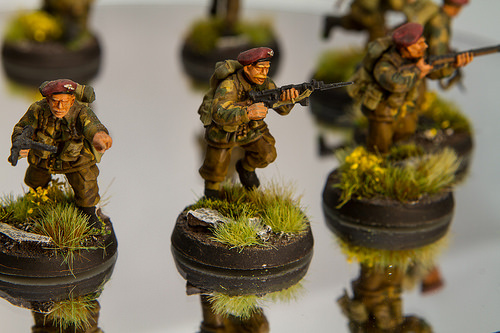 This is an exciting weekend if you are a 28mm WWII wargamer, especially if you play Bolt Action. 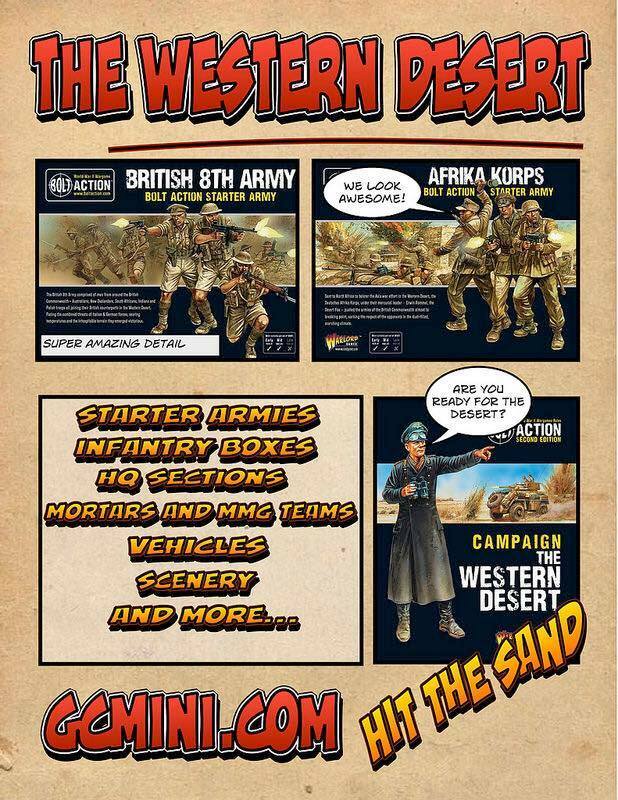 Warlord Games is releasing a whole line of new products around the Western Desert theater. The first item in this new series is the Western Desert Campaign book, this is a 136 page book that focuses on the conflict in the area most commonly referred to as the Western Desert - a campaign theater reaching from the Libyan city of Tripoli to Cairo, and the Egyptian Nile valley, a distance of some 1300 miles, a featuring some of the most hostile terrains on Earth. Next there are Starter Armies for both the British 8th Army and the German Desert Africa Corps. Both of these starter armies contain about 40 men and a vehicle (two in the case of the 8th Army), and three artillery pieces for each side including the dreaded Flak 88 for the Germans. There are also individual infantry boxes for both armies that contain 30 dudes each. In addition to these armies and infantry boxes there are blister packs containing HQ units, Medium Machine Gun teams, and Medium Mortar teams. There are also several new vehicles being released for the series. All of these items will be in the GCmini.com online store starting this weekend. We will have the entire new line in stock in good quantities. These eight new models and the three model starter set are available now and be purchased at the GCmini.com online store. 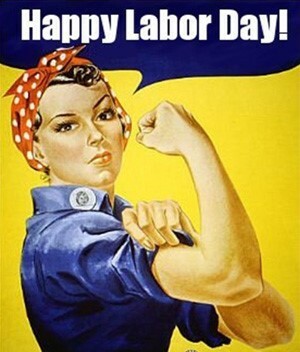 Shop at the GCmini online store between now and midnight Monday Sept 3rd and take 15% off everything in store when you use the coupon code LABOR2018 at checkout. To take advantage of this sale and enter the coupon code LABOR2018 when you check out. We will be working a convention this weekend, so orders placed during this sale weekend might be delayed a day or two. 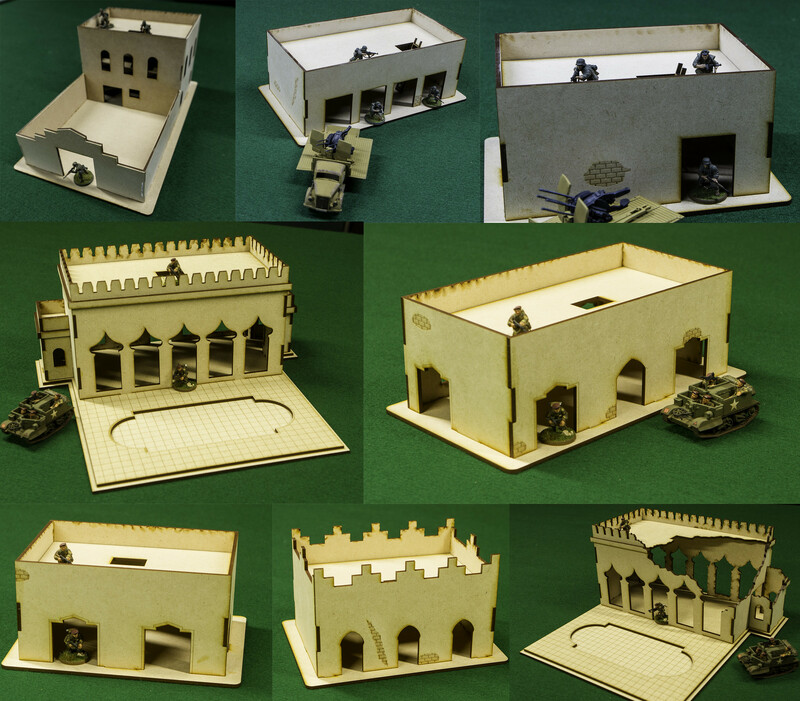 With the popularity of modern 28mm skirmish games like Spectre Operations and WWII 28mm skirmish games like Bolt Action and the upcoming releases of the Western Desert Bolt Action campaign and miniatures, GameCraft Miniatures have released a line of 8 new Middle Eastern / Western Desert buildings. 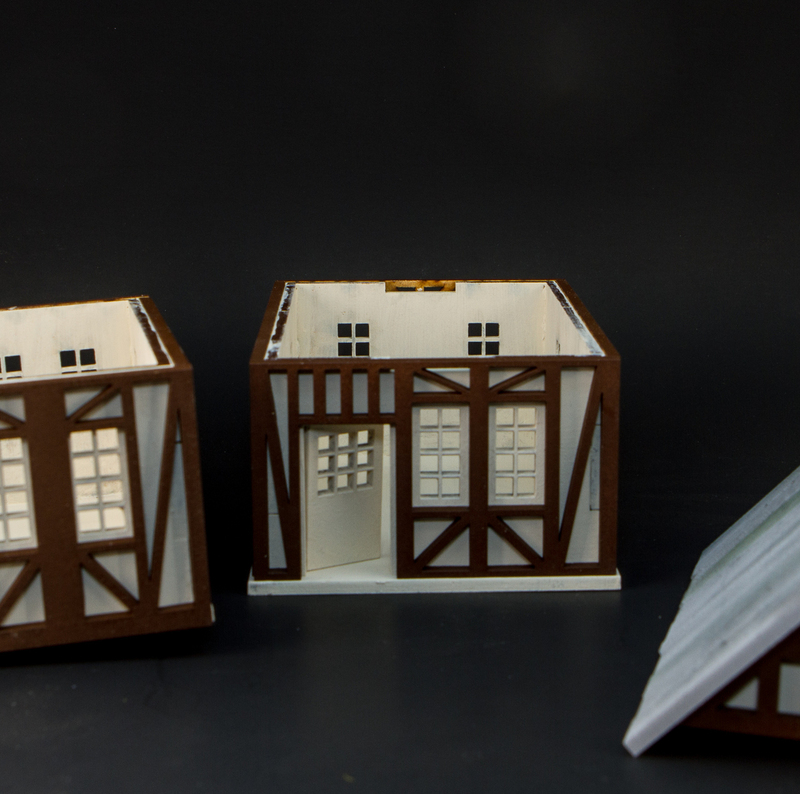 These buildings were designed with skirmish gaming in mind, they have removable roofs so you can get inside easily, the two story models have removable floors so you can play in every floor, and they all have bases so the inside of the model has a real floor. These 8 new models available now and be purchased at the GCmini.com online store. 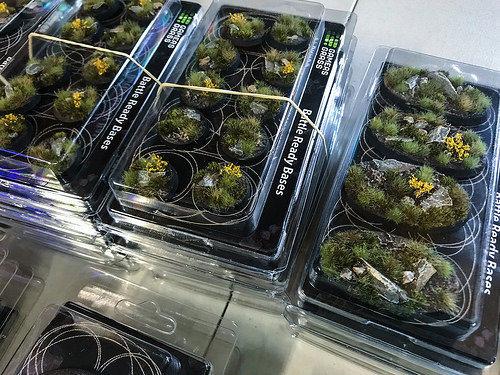 These amazing new figure bases come fully finished and ready for you to apply your figures. They are available right now in three sizes, 25mm round, 60mm round, and 60mm oval. All three sizes are available in the Highland series (shown above) and the Winter series.